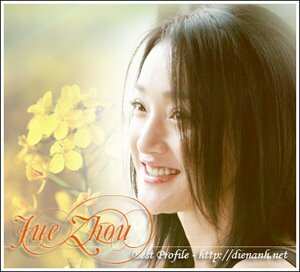 Zhou Xun: It's not all song and dance ! Posted: 02 November 2005 0734 hrs - By Jeanine Tan, Copyright © 2005 MCN International Pte Ltd. WHen Takeshi Kaneshiro watched the playback of one of his scenes in Perhaps Love, he told director Peter Chan: "I have so much feeling for this film. How can I make another film when I don't think I could feel the same way again?" That kind of intensity characterises the much-hyped musical, which closed this year's Venice Film Festival and has been nominated as Hong Kong's entry for the Best Foreign Language Film at the Oscars. In Perhaps Love, which is set in Shanghai's show business world in the 1930s, Kaneshiro and China actress Zhou Xun play actors who were once lovers. Their paths cross again when the pair is cast opposite each other in a musical directed by Zhou's new lover, who is played by Jacky Cheung. "The film is about memories, about forgetting and remembering. Takeshi's character is obsessive in the way he tries to preserve memories of an event he should forget, while Zhou Xun is obsessive in trying to forget an event that she should remember," Chan told Today yesterday. "What I wanted for the film is for the audience to go back and think about their pasts. If you're old enough and have been through enough relationships, I'm sure you've had someone you've had to let go along the way." Chan was in town to launch a series of events leading up to the release of the film here on Dec 8. His visit precedes the arrival of Kaneshiro and Zhou here on Dec 3. While the US$10 million ($16.9 million) Perhaps Love has been marketed as a musical, only a third of the film involves singing and dancing. Chan admitted that he was not a fan of musicals and he did not want his actors to break into song suddenly, as is the way in conventional musicals. As a result, he spent two years perfecting a script. "When people sing and dance, they do it legitimately because of the musical within a musical structure," he said. The exploration of the many layers of love, which has been a consistent theme in Chan's films, is once again seen in Perhaps Love. "Chinese people are introverted and subtle when it comes to relationships. Most of the time, there are misunderstandings in a relationship because people don't talk about their feelings. "Likewise, in the film, the characters can't express their feelings and they rely on the script and the songs in the musical to express their frustrations."